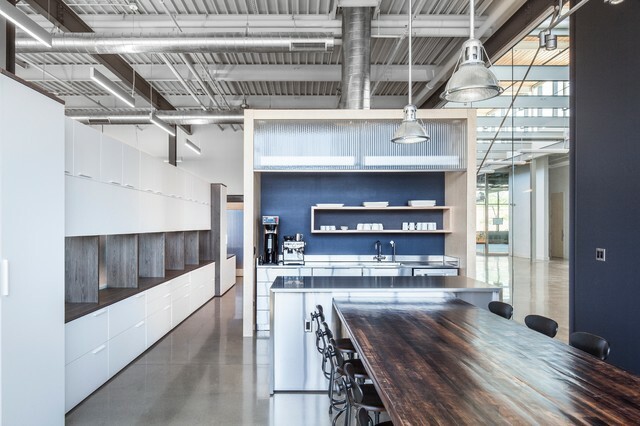 This is the kitchen "collaboratory", a place where staff come to eat, meet and collaborate. The design is based on industrial bio fume hoods where research is conducted. The stainless steel island and cabinetry pays reference to medical laboratories, while the custom retro eating counter made from a vintage bowling alley, personalizes the space.